It should be known that I am a completist. I love to complete a series, it’s like the book version of checking the last thing off of a to do list. (I also like to do lists.) To cap off the Wallflowers series Lisa Kleypas wrote A Wallflower Christmas, and I was in because I also like to finish the year with a Christmassy read when I can, and I’ve already reread and reviewed A Kiss for Midwinter once this Cannonball. As I summarized in my review of Scandal in Spring, Kleypas set herself up with four friends who were on the outside of the matchmaking market of their various seasons, and found fun and interesting pairings for each. Half of our Wallflowers are sisters, and this fifth book (although a very skimpy 200 pages in my hardcover version from the library) focuses on their eldest brother Rafe. We’ve already been introduced to the horrible parenting of the Bowmans, and Rafe’s childhood was certainly no better and perhaps worse. While I have a fondness for men with terrible childhoods as romance protagonists, this book suffers from other shortcomings which bring it down to a two. While not the most grievous, it should be noted that this book reads like a series of vignettes as opposed to an actual story. If Kleypas had released the characters of Rafe and Hannah to their own 100 page novella the story flow would have progressed nicely, but in order to shoehorn in the visits with the beloved Wallflowers, and create a place for Hannah in the pantheon, the narrative arc is sacrificed in places. And that is not the worst crime, Kleypas’ worst crime and what in all honesty has me rounding this down to 2 stars is the nonsensical plot line where Lillian thinks Marcus has eyes for another woman and the amount of real estate it is given in this book in comparison to our short visits with Simon, Sebastian, and Matthew. But even that 100 page novella would need something more, because the story is very paint by the numbers, and per Kleypas’ Authors Note at the end is a way to give her readers what they want, and hopefully convince them to move over to her other series. Do I regret reading this? No, it’s not bad; it’s just not very good. Rafe is a rake out of central casting with a grudge against his father and designs on being let back into the family business. 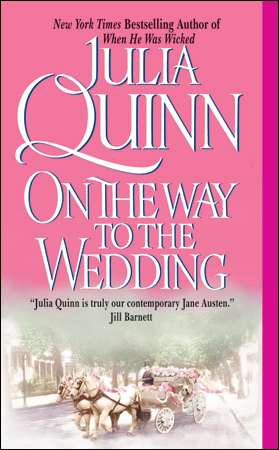 Hannah is a woman of middle class means just trying to ensure her cousin marries for love and will be treated well while trying to find a small corner of life for herself – and has her thoughts turned completely upside down by falling in love with the very opposite of “good” Rafe. It filled that perfect place for me as something to read while sitting in an airport and then on a plane and not being able to concentrate since the world is alive with holiday travelers. This is review 84, and I had hoped to get to 85 (from an overly ambitious 91, that would have been 1 and three quarters cannonball). I still have about a week, but I don’t know if I’ll sneak another one in. If I don’t, it’s been a great year cannonballers and I’ll see you in January for CBR9. This book was read and reviewed as part of the charitable Cannonball Read. Registration for CBR9 (yes our ninth year!) will be open until January 13th, 2017. Come join us. In its second year, I have once again completed Book Riot’s Read Harder Challenge. I appreciate that these 24 tasks push me to consider what I am reading, and give me a way to prioritize my endeavors. Below are all the books which I have read as of December 21, 2016 in attainment of these various goals. I look forward to 2017’s challenge as the tasks continue to get more specific. Nate’s just this kid, you know? He’s out on an adventure, and he’s exploring who he is and what interests him, and what life is like outside of his hometown of Janksburg, PA and his typical, but pretty unhappy, family. He’s exploring New York and the audition process, and himself. I loved Nate. How could you not love someone so honest as a protagonist? 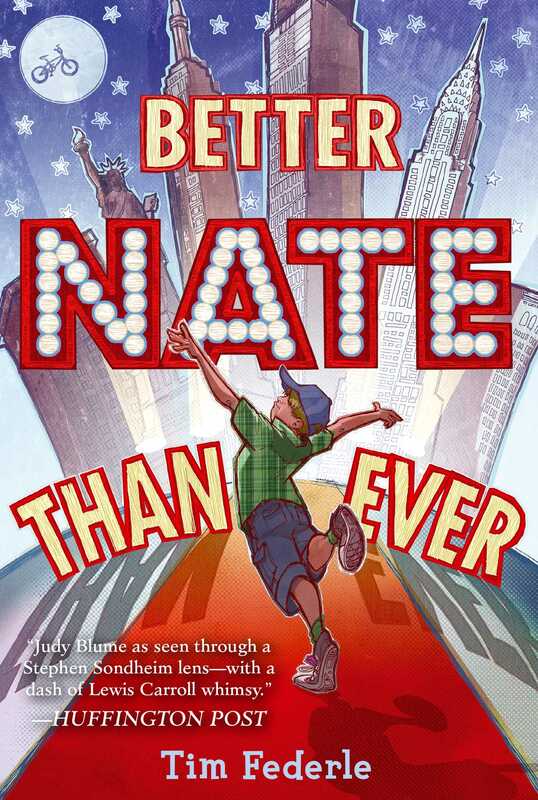 Federle puts just the right amount of 13-year-old into Nate’s voice. He’s just the smallest bit standoffish, while also baring his soul. He has things about himself that he knows, but he isn’t comfortable deciding yet, or certainly telling us about. He’s gone off on an adventure theoretically for someone else, but really he’s doing it for himself. This is a kid who dreams big (Broadway!) but his big dreams can also feel a little small (Applebee’s in Times Square!). I find it difficult to sum up the plot of this book (boy runs away to NYC to audition for a play, hijinks ensue), because it’s pretty sparse. But the texture of the narrative offers so much more. You could just give it a cursory read, what you imagine its intended middle grades audience would do, or you can let yourself go back to that time in your life and really sink in to all that is and isn’t being said. I listened to this one, and Federle narrates himself. It was VERY good. I am even more excited to pick up more of Federle’s writing. (Thanks to ModernLove for highlighting this author, and the Read Harder Challenge for making me read a Middle Grades book). I work in museums. Specifically, I work at historic sites, and one of the main types of historic sites is the Historic House Museum (HHM). There are a lot of ways in which HHMs are interesting and important to our cultural heritage, and tons of ways where the traditional methods of running such institutions are just plain bad ideas at this point. The entire cultural sector is down in visitation/consumers, so there are always conversations being had about how to be better, attract more people, and just what the heck we should be doing in the first place. 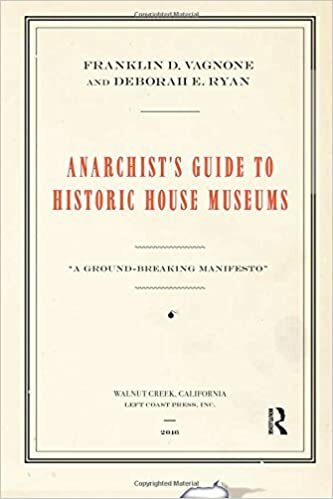 Enter Franklin Vagnone, the self-appointed Museum Anarchist. If our field has a loyal critic, its him. He has built his personal brand and his professional career on bringing the HHM out of the previous century and putting the visitor experience first. He has many loyal supporters (houses should be alive! ), and many detractors (you’re going to let someone nap on your lawn?). I’ve been following his writings and work for a few years, as promoting a quality visitor focused experience is one of the most important parts of my job. Whether loved or loathed (and his coauthor and co-researcher Deborah) he has a lot to say and brings up points for reflection. I’m mostly in his camp, we need to loosen up and refocus on what people want to discover and experience, and be less precious about the vase in the corner of our perfectly researched period room (that no one can see anyway because its behind that rope and then four feet away in the dark corner because we can’t add any non-historic lights. You understand, don’t you?). At work we’re prepping for an overhaul of one of our site’s interpretation, our mission, and even possibly our name. We are also in the prep year for our next phase of long range plans. I needed to get some ammunition to go into these meetings, and this book, which lays out ways in which to research our sites, and make decisions which make us more inclusive and less enslaved to old ideas is going to cause waves. But in any organization waves need to happen. I’m getting ready to suggest this as mandatory reading for everyone in my organization for 2017. We’ll see how that goes. 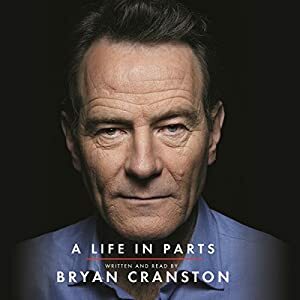 I don’t know that this book will have interest to anyone outside of the field. Its broken down into manageable pieces, but it is very dense. I described it to one of my colleagues as being edited with a scalpel, everything in these 200 pages is important and a point of thought, but that means you have to be invested and focused. I spent weeks working slowly through this work flagging ideas which I now need to go back and write notes about to prepare for these upcoming big idea meetings and goals. How do I make people feel welcome? How do we make the experience authentic? What rules can we throw away, which rules can we bend, what new methods do we need to instill? In the best possible way this book is making me think. It’s a very good book. This book was read and reviewed as part of the charitable Cannonball Read. Registration for CBR9 is open until January 13th, 2017. Come Join us. Here we have the concluding story of the Wallflowers quartet (ok, not quite, there is a Christmas book about a brother that I have already requested from the library even though Mrs. Julien marked it two stars…) and we have arrived at Daisy’s story, our last remaining Wallflower. I’ve had ups and downs with these books this year, but mostly this book ends the series on a good note. Scandal in Spring shows that Kleypas has learned from her previous outings. I still feel It Happened One Autumn suffered greatly in the pacing department (I was bored, and that’s never okay) this fourth book tempers the drama of the third, The Devil in Winter with the more reasonable pacing and practicality of the delightful first book, Secrets of a Summer Night (beware the beginning of that review, I probably owe the book a rewrite as it has grown on me in the last several months). Daisy is the final remaining Wallflower and her father is done waiting for her to find a match. Lillian already nailed the most eligible bachelor in England and his business is secure, now he just needs to marry her off. In order to accomplish this goal, he gives Daisy an ultimatum: find a wealthy peer to marry or marry his protégé Matthew Swift. Daisy is not pleased about this idea. Kleypas balances the unveiling of Matthew as not a bad man like Daisy’s father as well as moving Daisy out of the kid sister side kick role well. So much so that by the time the deed was done and these two were heading in the same direction I was not expecting the capital S scandal which is unleashed on them in the final quarter of the book. Matthew tells us it’s out there, but not what it is, and it’s a big one. 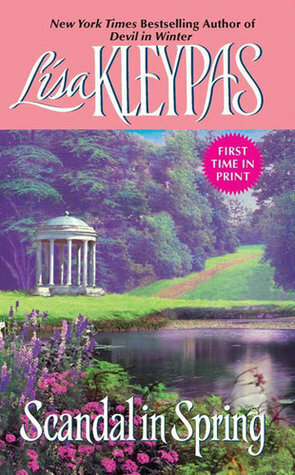 This book rounds up to four and not down to three because Kleypas gives the plot time to unravel itself as it should to be even vaguely historically accurate (which she generally is, her 1840s England is recognizably 1840s) even though she doesn’t necessarily give it the page real estate it could have used. These plot points also continue to round out the cast of characters and build some good will towards them. I’m on board with Lisa Kleypas and will be moving on to her Hawthorne series in 2017. This book was read and reviewed as part of the charitable Cannonball Read. Won’t you think about joining us? Registration is open until January 13th, 2017.